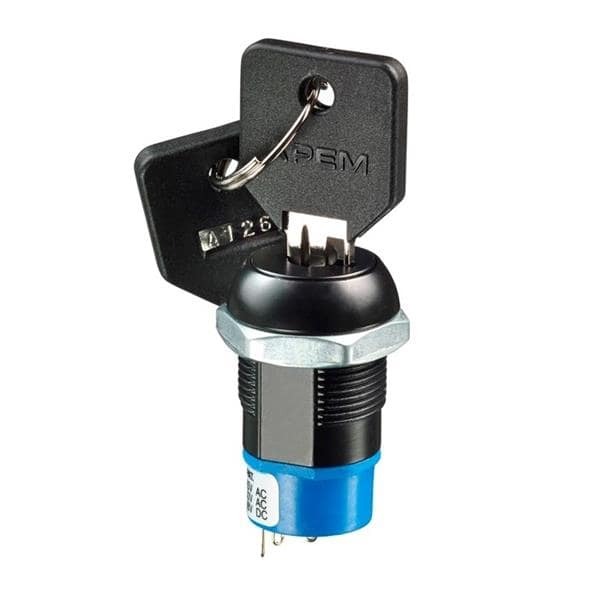 This two position keylock switch provides a high level of security with a four-tumbler key barrel that can be used to power up your project with a literal turn of a key. At only about 22mm across the top and 34mm long, it won’t take up much space in your project enclosure. This keylock switch features a contact rating of 4A at 125VAC and 2A at 250 VAC, 90° indexing, and a mechanical life of about 6000 cycles.